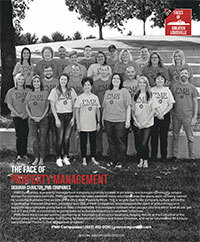 PMR Companies was featured in December 2018 issue of Louisville Magazine. PMR Companies has been awarded many accolades over the years, such as being named by Louisville Business First as one of the city’s Best Places to Work. This is largely due to our company culture within the organization. Deborah Charlton, president and CEO of PMR Companies, encompasses the spirit of philanthropy and supports all employees giving back to their communities.Click on the picture to read the article.